The latest in a long line of charity albums benefitting the Red Hot organization is Day Of The Dead, a massive homage to the music of the Grateful Dead. With 59 songs and a running time of nearly five-and-a-half hours, Day Of The Dead is a tribute of epic proportions. Equal to the mammoth size of the album is the lineup of musicians, all who gave their time to reinterpret the Grateful Dead’s oeuvre. It’s an artist list that reads like a who’s who in today’s alternative and indie rock scene. In addition to the ample roster of contributors, is the breadth of material covered on Day Of The Dead. Alongside such Grateful Dead staples like “Box Of Rain," performed by Kurt Vile and the Violators and featuring J Mascis, is “Friend Of The Devil” done by Mumford and Sons. Other diverse highlights include Lucius with “Uncle John’s Band" and the War on Drugs' take on “Touch Of Grey." There are deeper cuts too, like “Mountains Of The Moon," done by former Sonic Youth member Lee Ranaldo, Lisa Hannigan, and friends, and “Dark Star," handled by the Flaming Lips. A 17-minute “Terrapin Station (Suite)” features Daniel Rossen and Christopher Bear, both from Grizzly Bear, the National, and others. Selections from the solo catalogues of Jerry Garcia, the Jerry Garcia Band and Bob Weir appear as well. Phosphorescent, Jenny Lewis, and Friends play it straightforward on a faithful rendition of Jerry Garcia’s “Sugaree.” Finally, the Grateful Dead’s Bob Weir makes an appearance as the guest of Wilco on a live version of “St. Stephen,” which closes the album. 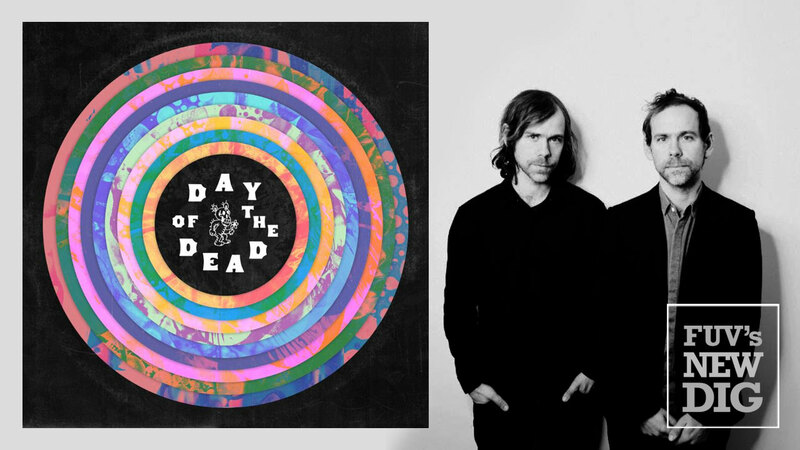 Day Of The Dead was created and curated by the National’s Aaron and Bryce Dessner. Bandmates Scott and Bryan Devendorf and Takka Takka's Conrad Doucette assisted with the curation. Aaron also produced the collection and he received help from his brother Bryce and frequent National collaborator Josh Kaufman. The Dessner brothers also produced the 2009 Red Hot benefit album Dark Was The Night. All of the profits from the sale of Day Of The Dead will help the Red Hot organization in the fight against HIV/AIDS and related health issues around the world. It joins a roster of approximately twenty Red Hot charity albums that have been released since 1990. Day of the Dead will be available as a three volume digital edition (titled "Thunder," "Lightning" and "Sunshine") and as a five-volume CD set and a limited edition vinyl boxed set.